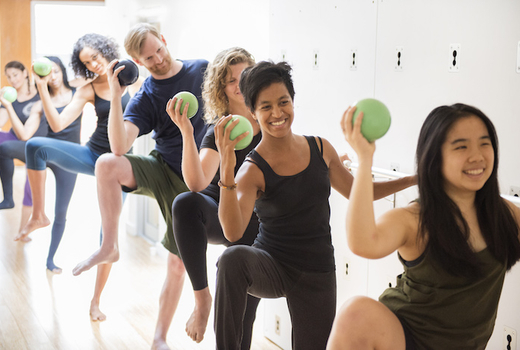 Align Brooklyn is a leading boutique studio that takes care of all your fitness needs in one place, offering 10 different yoga, Pilates, barre, circuit, and stretching classes. Grab this $25 pulse (a $66 value) for 3 Yoga Classes at Align, and choose from 4 distinct modalities. Whether you're up for the challenge of suspension yoga, or wish to find the deepest mind-body relaxation, you'll find a class that fits your needs. Choose the $39 pulse (a $81 value) for 3 All Access Classes, and you'll be privy to all the yoga offerings plus a full range of barre, Pilates, metabolic conditioning, and stretching classes. The highly trained instructors, incredible facilities and the wide array of tools and disciplines ensure that you'll be working intelligently at every session. Mind-body-spirit wellness has never felt so fun! 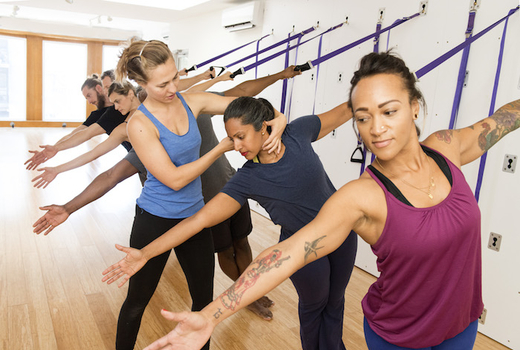 Founded by Dr. Christopher Brown, a board-certified chiropractor, certified chiropractic sports physician, certified Equinox master trainer and yoga instructor, Align Brooklyn is a unique wellness studio that merges holistic disciplines with science-based functional fitness. Its wide-ranging classes are designed to develop your strength, core stability, cardiovascular fitness, flexibility, balance, and mental clarity - resulting in a complete alignment of body and mind. Fire up your energy with an invigorating Yoga Flow class, or target your midsection with Align Fusion, a Pilates-based mat class that uses balls, blocks, gliders, resistance bands, and more. Those who covet a long, lean silhouette will love Align Define, a full-body barre class. Or sweat it out big time with Align 1:10, an ultra-challenging Tabata interval class that mixes TRX, resistance bands, weights, and gliders for nonstop heart-pounding action. The gorgeous space with sustainable bamboo floors and state-of-the-art equipment sets a tranquil mood for your time of self-care! "As a former dancer, the clean and gorgeous studio reminds me of the dance studios I used to spent so much time in. I can go from a full body workout where I'm sweating and sore to a calm yoga class all in one day." "Great studio! Love the focus on well...alignment. Clean and lots of props. You will definitely get an amazing stretch and feel fantastic after class. I have really enjoyed yoga classes with Beau and Sadia. They are both very knowledgeable and passionate and lovely." "Love this studio! Really great instructors and variety of classes - everything class I've taken has been high quality, challenging and fun." Valid for new clients or those who have not visited in 6 months. Voucher expires on Friday July 26, 2019.